Most people can easily categorize musical instruments into their respective categories: woodwind, strings, percussion, brass. But where do you place an instrument you never touch? The Theremin is one of the strangest experimental musical instruments ever. The instrument, also known as etherphone or thereminophone, was created by Russian inventor Leon Theremini in 1928. It became of the earliest music instruments that uses electricity to produce sound. It's controlled without physical contact by the performer. It turns the user's body into the instrument and typically consists of two metal antennas that sense the correlative position of the player's hands. 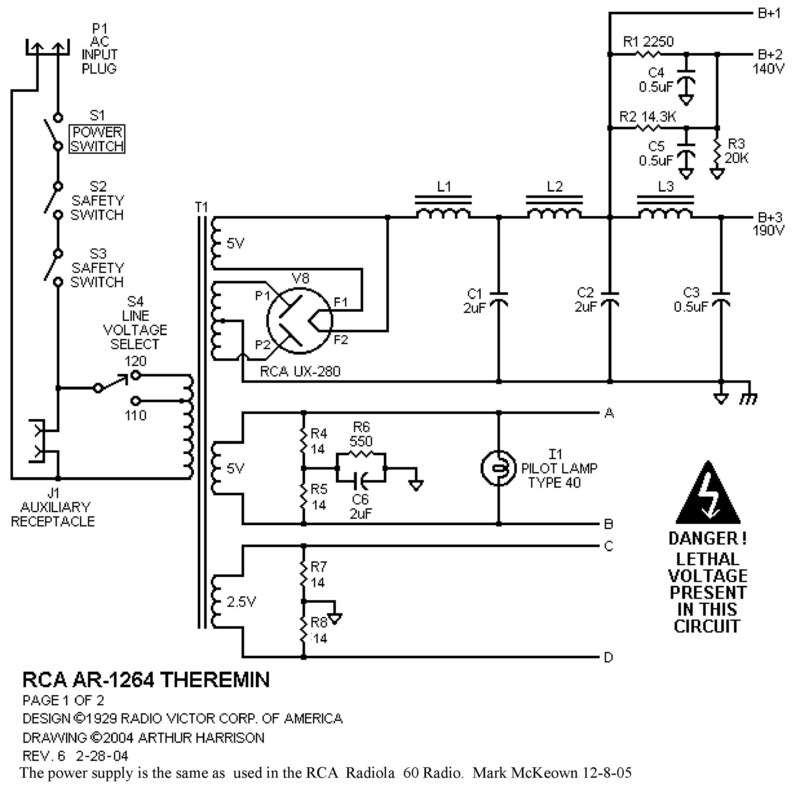 How does a theremin work? The musician controlls oscillators for frequency with one hand, and amplitude the volume with the other. The electric signals from the theremin are amplifying and sent to a loudspeaker. If the player moves their hands closer to the antenna, the pitch of the sound changes. If they move their hands closer to the other antenna, the volume increases. A capacitor is a device which can store an electric charge that's made up of two plates that can conduct electricity by something between them, whether it's air or something else, called 'dielectric'. When there's an electric current, the electrons wants to flow between the plates but they're blocked by the dielectric. So instead, the electrons get stuck on one side of the capacitor and the electric charge keeps building. With the right setup, those stuck electrons eventually change directions and head down the wire to the other side of the capacitor. This pattern continues with the electrons going back and forth to create an alternating current that oscillates at a certain rate of frequency. However, theremins don't have whole capacitors in them. They use one plate of the capacitor in its antenna, and the other capacitor is the musician's hands. The theremin and the musician work together to function as a full capacitor, giving the musician full control of oscillating the current. When the musician moves the hands to close to the antenna, the capacitor's plates are closer together, so it stores more charge and the current oscillates at a lower frequency. The current has the ability to vibrate a speaker and create sound waves. Originally, the current would have a frequency of around 250 KHz, which is above what humans can hear. Therefore, the current can't be sent straight to the speaker. Instead, the theremin does something called heterodyning. The theremin mixes the oscillating current with another pre-set current. During the heterodyning, these currents mix together to produce a final current with a human-friendly frequency, typically within the range of a piano. As a side effect, this mixing process actually switches the order to the frequencies, higher becomes lower, and the lower becomes higher. The speaker produces the higher notes if your hands is closer to the theremin, and lower notes if your hand is farther away. Despite the theremin not becoming mainstream, it serves as an intriguing bridge between engineering and the arts.